Fault Lines in the Constitution has been a big hit this season! With 4 starred reviews, and inclusion in Publishers Weekly's Best Books of 2017 list, it's clear that readers are enjoying this "timely and thought-provoking" look at the Constitution. After her various presentations to educators and their students, author Cynthia Levinson agreed to provide more insight into how these readers were using this book in the classroom. I love that she was questioning authority from the outset. Her teachers have probably taught her to check her sources and make sure they’re credible. Great! Fortunately, she was convinced we’re legit when I told her that Sandy teaches Constitutional Law at the University of Texas and Harvard Law Schools and has written multiple books on the subject. Amy Shine Jones, a high school Civics and History teacher in Haverhill, Massachusetts, pointed out that many teens have a facility for spotting deception and that Chapter 5 of Fault Lines would especially appeal to them. Not because it’s fake! Rather, this chapter, titled “How to Cherry-pick Voters,” shows how politicians “gerrymander” the shapes, sizes, and constituents of Congressional districts so their party will win as many seats in the House of Representatives as possible. We witnessed just such a disagreement among teachers while they talked about the book at a gathering for law students and community members. Dan Carpenter, a professor at Harvard, supported the idea of national-level referendums—the ability of citizens to adopt or veto laws without going through Congress—which is discussed in Chapter 7. If the State of Ohio allows it, he asked, why not the federal government? Shep Melnick, on the other hand, a professor at Boston College, argued that the Constitution should not allow for referendums. Direct democracy “takes power away from elected politicians, who are supposed to balance” the views of their constituents, he said. Jones predicted that students would get into meaningful arguments about the Preamble—how well do we “establish justice,” for example?—if they were asked to grade the Constitution both before they read Fault Lines and then again afterward. 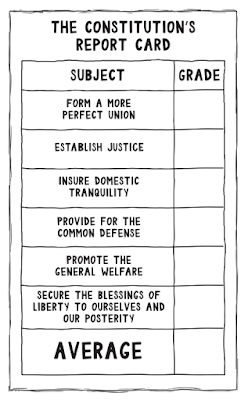 We give the Constitution a grade at the end of the book, based on how well we think it meets the goals set out in the Preamble. Teachers often give pre-tests and post-tests. 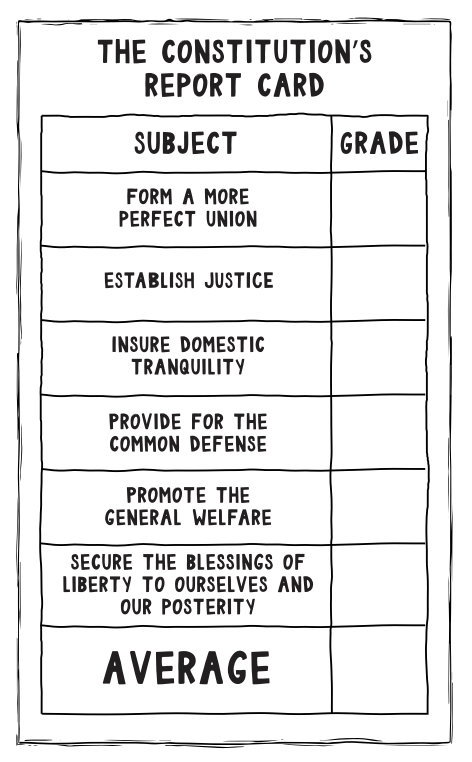 What do you think: Would the Constitution get a better or worse grade after it’s taught? Jones also appreciated the stories that open each chapter. 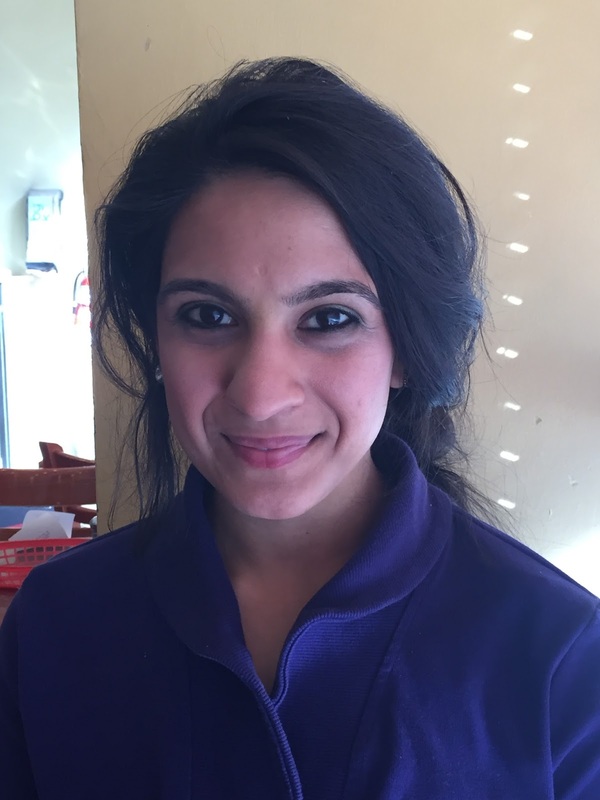 Pointing to the one about a Dreamer—an undocumented young woman named Leezia Dhalla who desperately wishes to become a legal resident—she said they “give teens someone to identify with.” The problems aren’t abstract; they affect real people, like the students themselves. Above all, Jones said, kids want to make a difference. In Fault Lines, they can see, she said, that “average citizens have helped shape the Constitution and the government. It shows that teens can become agents of change.” That is our highest hope for this book. Teachers can use these and other ideas by looking at Peachtree’s Discussion Guide. Teachers, librarians, and students can join the conversation right now by registering for our blog at https://faultlinesintheconstitution.com/. One of our posts focuses on three teenagers who are running for governor in Kansas and a thirteen-year-old who is running for the same office in Vermont. They can also enter our Blog-a-Fault-Line Contest. First, students should read Fault Lines in the Constitution (Peachtree Publishers/Listening Library) and the authors’ blog (www.faultlinesintheconstitution.com). Then, they write a blog post relating a current event or issue to a topic in the book or to a flaw they see in the US Constitution. Entries can take a stand, propose alternatives, or raise questions for discussion. They should not be politically partisan. Two winning blog posts will be featured on www.faultlinesintheconstitution.com, and each winner’s school will receive a free 20-minute Skype visit with co-authors Cynthia and Sanford Levinson! Then, submit student- and teacher-written blog posts for each class that is reading Fault Lines in the Constitution. Send submissions to clevinson@austin.rr.com by April 16, 2018. Contest is open to students ages 10-18. Each blog post should be a maximum of 550 words. Winning entries may be edited by Cynthia and Sanford Levinson and by Peachtree Publishers, with edits approved by the student, before publication. Two sets of prizes will be awarded—one for students ages 10-13 and one for students ages 14-18. Each winner’s school will receive a free 20-minute Skype visit with the book’s co-authors. The winners’ blogs will be posted on www.faultlinesintheconstitution.com. Get your copy of Fault Lines in the Constitution at your local library, indie bookstore, or Barnes & Noble! And check out our website for great resources, including an excerpt, a discussion guide, a Q&A with authors Cynthia and Sanford Levinson, and more!